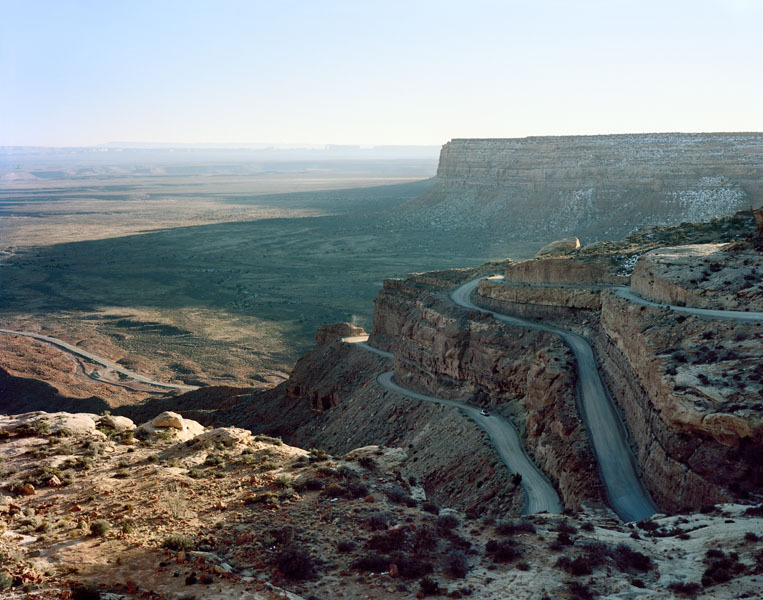 The moki dugway is a highway like you’ve never seen before. Climbing the cliffs and meandering up the side of a mesa the Moki Dugway has been featured in films, and was an engineering feat a the time it was built. Moki Dugway is Utah state highway 261, which is a paved for most of the way except at the dugway, where it hasn’t been paved except around certain corners to maintain grade . Driving up the switchbacks is an exciting Utah adventure that most cars can handle. The reward for taking this route is the view at the top. You can use the Moki Dugway overlook or take the less beaten path and head toward the Muley Point overlook, which is a short drive on a dirt road. From this vantage point Monument Valley is off in the distance, with the Goosenecks state park in the foreground, a truly breathtaking sight you must experience in person.